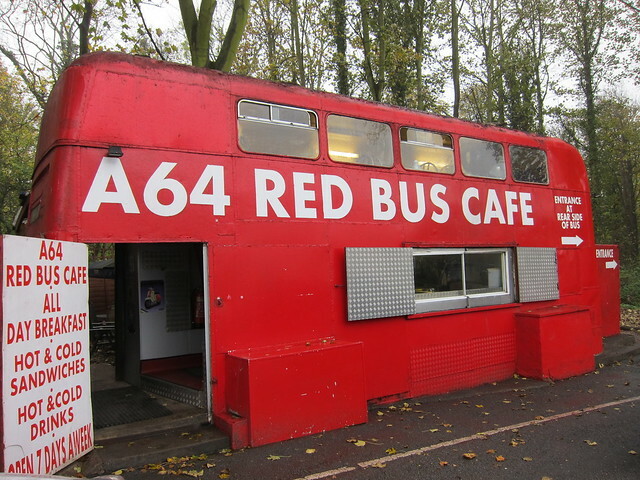 In last months edition we asked our readers if anybody had any information on the history of the A64 Red Bus Café. Two readers have contacted us. Hopefully they have solved the mystery of where the Bus originated from. It was originally from small batch of front & centre entrance Leyland Atlanteans supplied to Newcastle Corp. (SVK 602G – 610) so this makes it quite rare. Hope this info has been of use? Kathleen Craig has kindly provided our readers with a flickr link to information regarding the Redbus. I wanted to write and thank you for featuring the Choir in May’s edition of the Yorkshire Reporter. We had a great concert at Leeds Minster just a couple of weeks ago, and the Yorkshire Reporter’s coverage certainly helped! Our next project is a series of free summer workshops called ‘Find your Voice’ which are aimed at men in the area to encourage them to try singing in groups – and some of the fun that can be had learning to sing. We’ll cover posture, pitch, tone and breathing all under the expert guidance of Tim Knight, director of Leeds Male Voice Choir and principal of The Yorkshire College Of Music & Drama. The sessions are open to those of all singing abilities, including those who have never sung before. The Find Your Voice workshops are running on consecutive Thursday evenings on 24 July, 31 July and 7 August at Yorkshire College of Music and Drama, St Marks Avenue, Woodhouse, Leeds, LS2 9BN. Eagerly awaiting your website that you announced was due to be up and running soon because my sister in Spain wants to be able to download your paper every month. I have posted a few copies out to her and put one in my luggage when I visited her,although she is settled in Spain she still likes to hear about home. I have been reading your paper now for a year and look forward to it every month so I would like to wish all of you at the Yorkshire Reporter a Happy 1st Birthday and congratulate you on producing such an excellent paper. It is good that it’s a free paper but feel you should put a price on it as it’s better than the ones that we have to be pay for. Wishing you every success in your second year. 92 yrs, fit enough to get on the bus and go. After the appointment I was waiting for the bus to return home when two teenage boys pointed out the bus no longer stopped there, they kindly told me where the new stop was. It was up a big hill and they offered to walk with me so I would find the correct stop, which I accepted. The boys were so thoughtful and they should be proud of themselves. I really appreciated their good deed and I am sure it made them feel good too knowing they had taken a little time out to help me. I was interested to read your tips on starting cycling,which can be a great way of getting out and about and keeping you fit too. Having cycled for many years and still enjoying it, I have to say that no matter how visible you are with reflective clothes some motorists just don’t seem to care how near they are to you. I think that the new cycle trails that the council have made are great and makes it safer, providing a great opportunity for all the family to cycle together. Hi after reading your May issue of Yorkshire Reporter I was surprised to read all the different areas that benefitted from funding for parks. I live in Seacroft and we recently were given a park on my local field the Rein playing fields it consists of a small round about, slide, a basic climbing frame and a large swing. The small park has 2 swings and a small slide very little space for the amount of children who use it I’d say. The field is used by a lot of local people either walking their dogs, visiting the park with children or a football team to play matches. I would ask you kindly to help our area get a boost it needs and for some idea of how I can request our area to be considered for a improvement as we have a lot of children in the area, I think we deserve a suitable play area and activities to keep the children entertained, away from the roads. Enjoying reading the Yorkshire Reporter, I have now been fortunate enough to pick my second edition up. It is so refreshing to pick a paper up that is not all doom and gloom. The many different topics you cover as you said in your editors notes last month that you try to put something in for everyone, I have to agree you certainly do. I like the gardening and thought the advice on how take photos of flowers gave me ideas on how to enjoy my flowers longer. I am snapping away and my favourite flowers this year will become photo coasters so I will see them all year. Thanks for a lovely read. Having been a dog owner for many years I love reading your Wagging Tales section. Unfortunately I am too old now to care for a dog myself but I was so pleased to read that Red Now Sam has found such a good home. Taking a dog on, as dog lovers know is a big commitment with responsibility, but if that can be offered it is so rewarding. Dogs understand a lot more than people think and are really good company. Keeping my fingers crossed the other dogs go on to live a full and happy life and find new owners. After reading Selina’s review we went to Temple newsam today with the children, never been before as we live in Huddersfield. The weather was good so took a picnic, everyone enjoyed the farm and the children’s play area was great, it kept them entertained and used all their extra energy. Will definitely go again. Thanks to Selina mentioning her dog enjoys it, our dog got a day out too. The Silverdale article I read with interest a friend of mine went there in the 1950’s. I didn’t realise the charity was still operational. My friend didn’t want to go because she would be leaving her family and me, but her parents thought it would be good for her. I remember her being really upset but when she returned I was quite jealous as she had made new friends there and had a lovely time. The charity must have made a lot of children happy over the years long may it continue. More Readers letters coming soon! Have a letter you want to submit? Please fill in the form below and get involved with the Yorkshire Reporter today.